I wanted to get this card in the mail quickly so I decided not to do any coloring or fussy cutting on it. I started by die cutting the pink frame (Whimsy Stamps) and passing it through the Sizzix embossing folder to impress the delicate floral pattern. 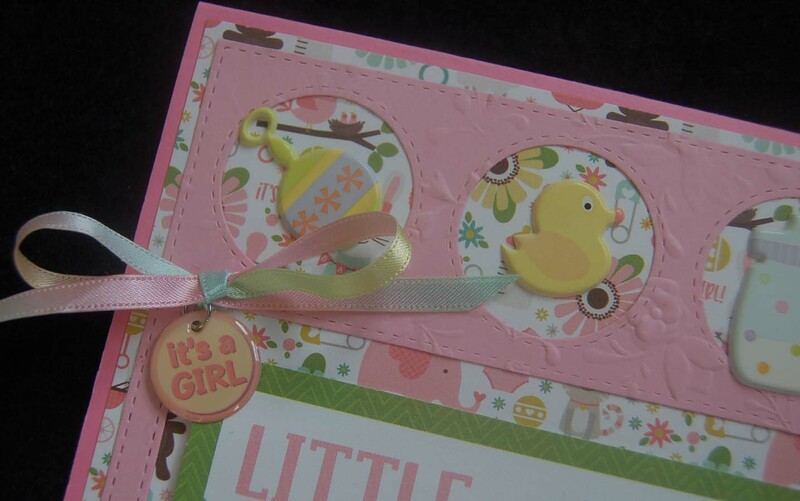 This close-up shows the embossed design better as well as the sweet Sticko baby stickers (from HM BFC). I love the tri-colored Heiko ribbon (from BFC or Celebrations)...the perfect baby ribbon. 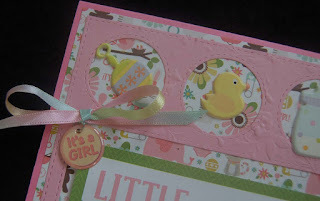 The little 'It's a GIRL' tag is from the baby decoration department in HM Ben Franklin Crafts. I've forgotten where the 'Little Miracle' die cut sentiment is from but came in a pack....maybe from Echo Park? 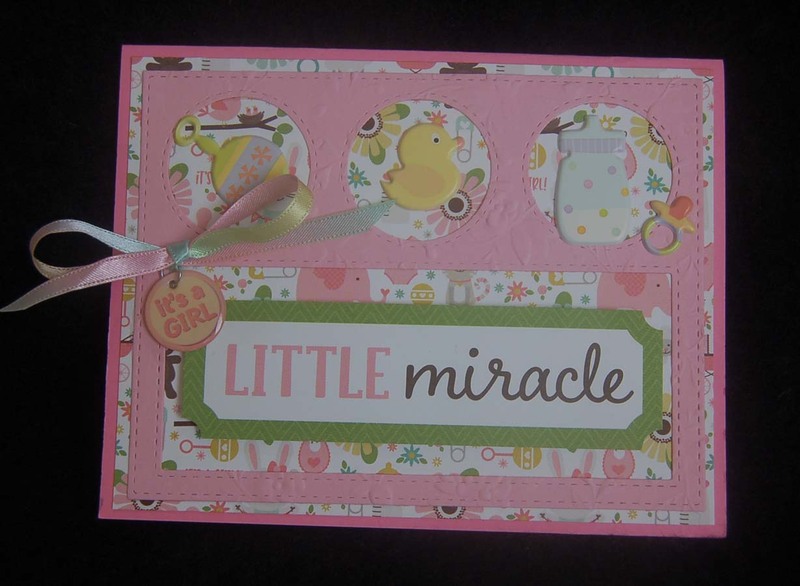 The printed card stock background is from a K and Co. 8x8 pack. I actually remembered to stamp 'handmade with love' on the back of the card. I recommend that you purchase the Lawn Fawn set so that you can personalize your special card creations. 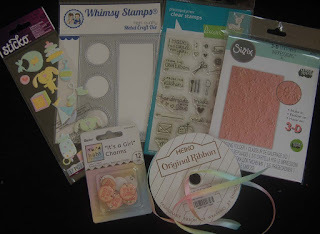 Happy Spring Crafting!